It's recommended procedure for the operation of a lathe to have some boards handy to put on the bed when you are reconfiguring the lathe. Here I have a couple of short ones that will fit between the arms on the saddle. If you are changing chucks you would likely move the carriage further away, but if you are reversing the jaws or changing cutters, or work in the chuck moving the carriage that far down the bed may not be needed. The purpose of the boards are to protect the bed from dropped things, and also catch some of them before the fall in the Swarf below. This is profoundly important when working with fairly heavy things. 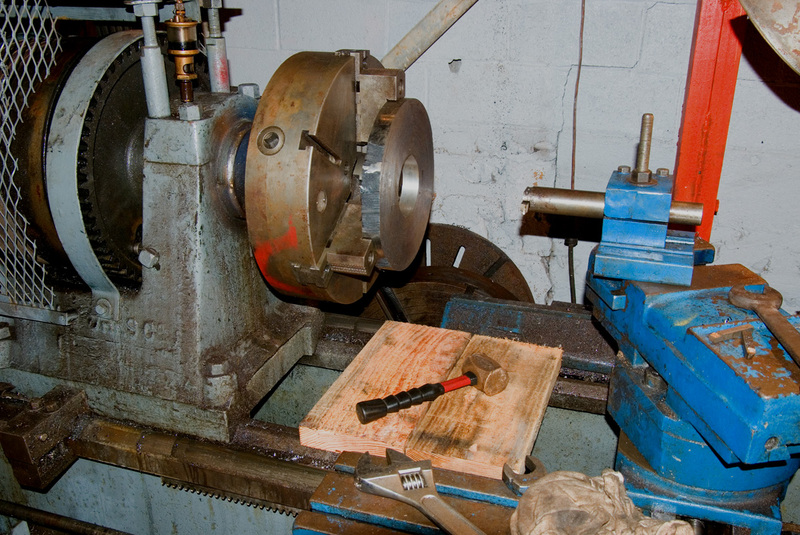 They can do serious damage to the lathe.